Cut your potatoes into wedges. The thinner the better as they will cook faster! 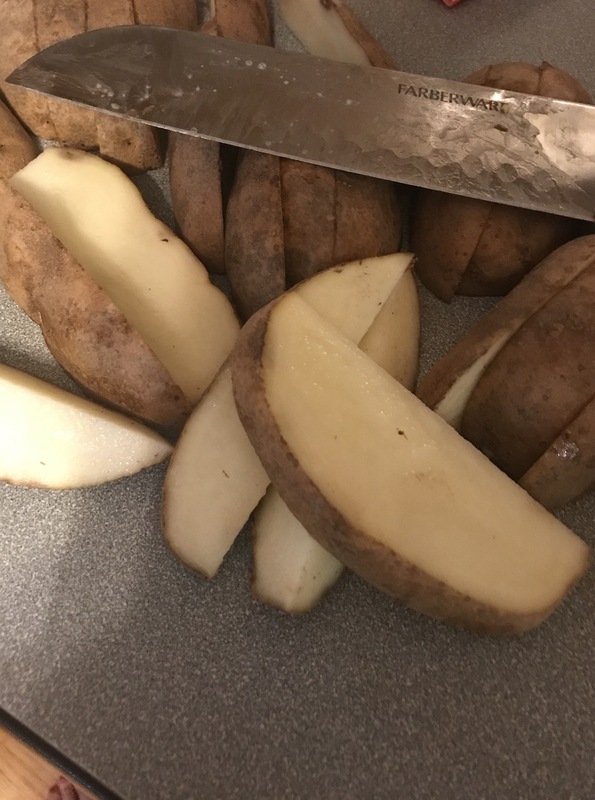 Place potatoes into a gallon-sized plastic bag and add all of your ingredients – olive oil, salt, pepper, minced garlic, Italian seasoning and parmesan. Then zip up the bag and smoosh the ingredients together to coat the potatoes. 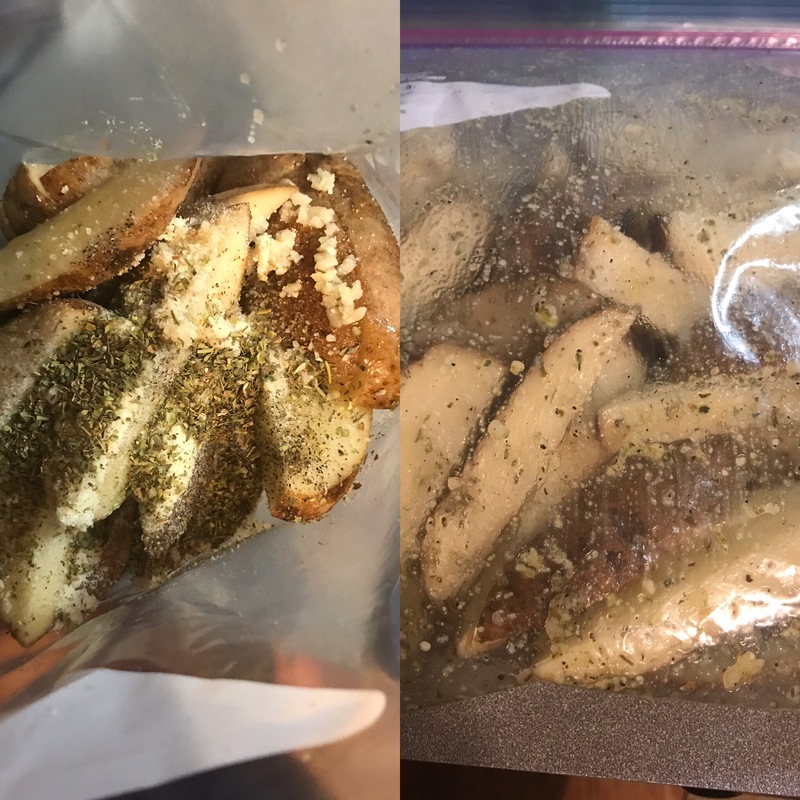 After that simple step, dump the bag of potatoes onto your foil-lined sheet pan and stick it in the oven for 40-50 minutes. Once you are able to pierce them through with a fork, check for softness to see if they are done to your liking! That’s it! Done! 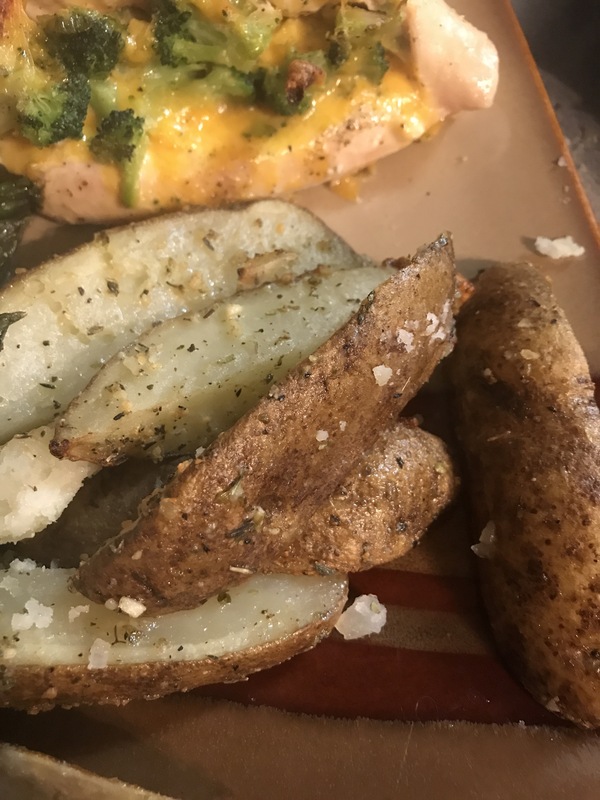 Check out the Broccoli & Cheese Stuffed Chicken pictured above!